Production Consulting Group, LLC, creates custom designed mobile production cases for Newtek tricaster market. Wexford, PA – July 25, 2012 – Production Consulting Group, LLC a Pittsburgh- based emerging technologies consulting, video streaming, equipment sales and media production company, is pleased to announce that they have added a complete line of custom designed mobile production cases for Newtek Tricaster models to their line of products. "We are very pleased to announce that we are now offering fully custom designed mobile production cases for all Newtek tricaster models in response to the needs of tricaster users across the country who have asked for an affordable, quality constructed case to make their Newtek tricaster production truly portable. The design and creation of our line of mobile production cases is based on feedback from our clients, and we feel we have one of the best fully integrated mobile production case solutions on the market" says Jeff Waller, President of Production Consulting Group. "Our ability to offer both standard configurations and fully customized mobile production cases allows us to offer our clients variety of designs to meet their individual needs. Additionally, our cases are made under our direct supervision, insuring that quality is maintained throughout the process." Custom mobile production cases for all types of video, audio and streaming equipment are also available from Production Consulting Group. 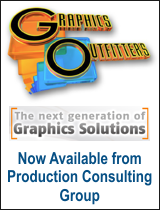 Call Production Consulting Group at 412-760-3582 to begin creating your custom case today.